Defense Secretary Leon Panetta said Thursday there can be no doubt that terrorists had planned and carried out the attack on the U.S. Consulate in Benghazi earlier this month that killed four Americans, including Ambassador Christopher Stevens. Republicans have accused the Obama administration of playing down the possibility of a terrorism link to the Sept. 11 attack, which it initially said was connected to protests over an anti-Islam, Internet video that enraged Muslims worldwide. 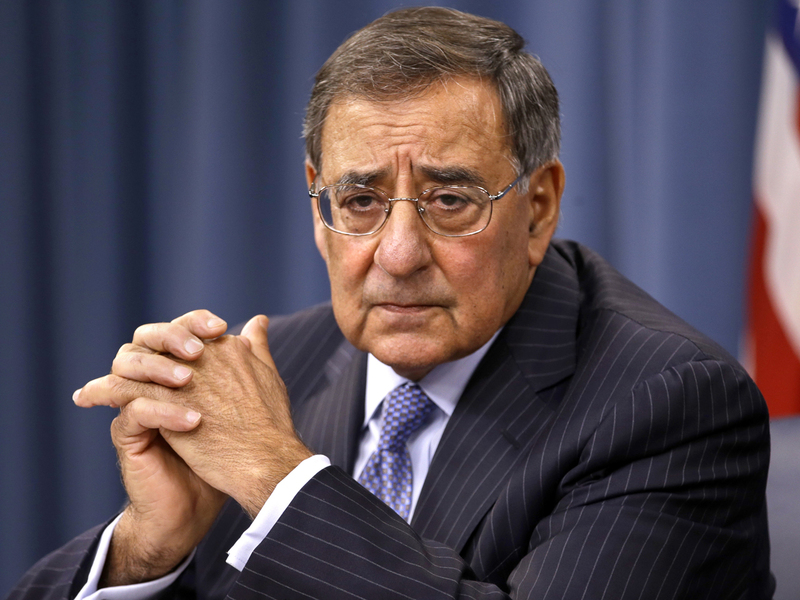 "It was a terrorist attack," Panetta said when asked at a Pentagon news conference whether al Qaeda was involved. He said it remains to be determined by investigators which terrorist group was responsible. Asked how long after the attack it took him to come to the conclusion that it was perpetrated by terrorists, Panetta said, "It took awhile," but he was not more specific. "I think, on the terrorist attack, I mean, as we determined the details of what took place there and how that attack took place, that it became clear that there were terrorists who had planned that attack, and that's when I came to that conclusion," he said. Addressing the same topic, Gen. Martin Dempsey, chairman of the Joint Chiefs of Staff, said that, before the attack, there was some intelligence about security threats in Libya, but it was not specific to the U.S. Consulate. "There was a thread of intelligence reporting that groups in the environment in western  correction  eastern Libya were seeking to coalesce, but there wasn't anything specific and certainly not a specific threat to the consulate that I'm aware of," Dempsey said. Separately, a senior State Department official said Thursday the U.S. is further drawing down its staff at the U.S. Embassy in Libya, for security reasons. The official said the reduction in personnel at the embassy in Tripoli, which has already been operating with limited staff since the deadly Sept. 11 attack on the U.S. Consulate in Benghazi, is expected to be temporary. The official said the security situation would be reviewed early next week with an eye toward restoring the staff "as soon as conditions allow." Ambassador Chris Stevens and three other Americans were killed in the attack. Meanwhile, Libya's leader says his government has disbanded about 10 militia groups and will continue to take action against Muslim extremists. President Mohammed el-Megarif said Thursday the attack on the U.S. Consulate in Benghazi was a final straw. He did not say when the militias were disbanded, or how many remain. Speaking in New York, el-Megarif echoed the remarks of his neighbor, Tunisian president Moncef Marzouki, who announced a crackdown on extremists after they attacked the U.S. Embassy in Tunisia. Both countries face emboldened extremists trying to impose their own, harsh version of Islamic law. The problem is worse in Libya, because many are armed with weapons they used to bring down former ruler Muammar Qaddafi last year.